The whole internet is filled with prepaid tariff plans because they offer better value for money. But on the other side, telecom players are looking to bridge the gap between prepaid and postpaid connections. Government-owned PSU, Bharat Sanchar Nigam Limited (BSNL) has one such postpaid plan of Rs 1,595 which offers unlimited benefits for a month and that too without any limit. The Rs 1,595 postpaid plan gives unlimited voice calls and data without any limit, while the SMS benefits are limited with this plan. As per the official BSNL website, the Rs 1,595 postpaid plan is available for all the BSNL postpaid subscribers across the country. The telco will be collecting a security deposit of Rs 500 if you’re a new customer joining the postpaid network. Talking about the benefits offered by this plan, it offers unlimited on-net and off-net calls. And there are two benefits over here: firstly, the calls are truly unlimited, and there’s no FUP limit, and secondly, a user can make voice calls to a landline number too. And the data benefit is unlimited too without any FUP and speed restriction. BSNL is the only telco offering unlimited data without any restriction. And lastly, we get to the SMS benefits. This BSNL postpaid plan offers just 250 SMS per billing cycle which is underwhelming. BSNL should have added at least 100 SMS per day like other telecom operators. 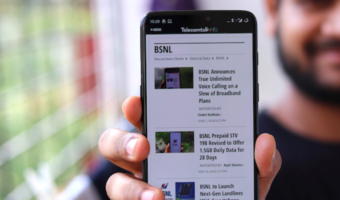 That’s it, BSNL is not offering additional benefits such as any digital content subscription or magazines subscription like other private telecom operators. But the best part of this plan is unlimited data and voice calls. 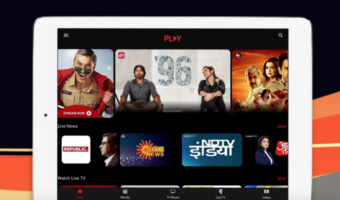 On top of that, BSNL also introduced a unique offer called ‘Loot Lo’ back in November 2017, offering a discount for users choosing postpaid plans on quarterly or half-yearly or yearly basis. 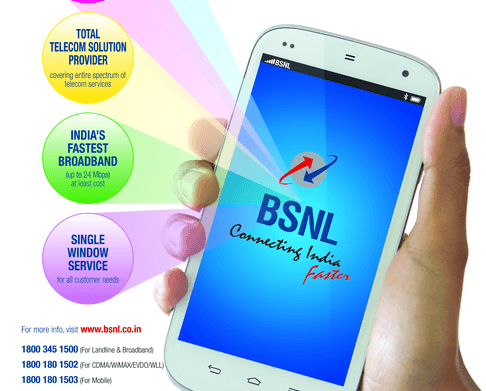 BSNL is offering up to 60% discount for the customers choosing long-term validity. However, we’re not sure whether this offer is currently live or not, but it is listed on the offline BSNL website though. With BSNL We can’t able to use 1GB in a day because of slowness and connectivity issues.Its all in name of advertisements. We all know the BSNL is waste.Weather they can ensure that the data speed in 3G willnot drop to less than 2mbps. I am ready to take the the plan. If i show proof then they have to refund my amount. In prepaid also there is an truely unlimited plan. But question here is who will use it.